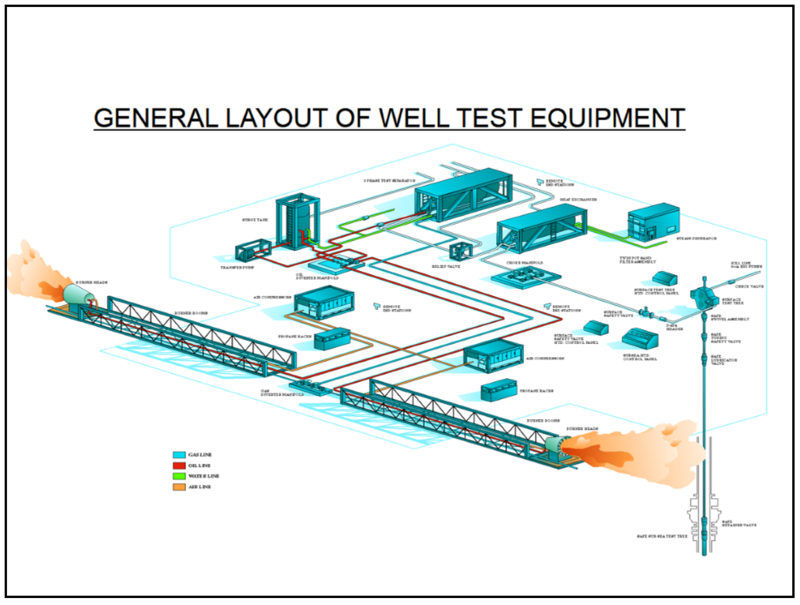 Surface well testing is very important technical method for reservoir evaluation during the process of well drilling or well completion. 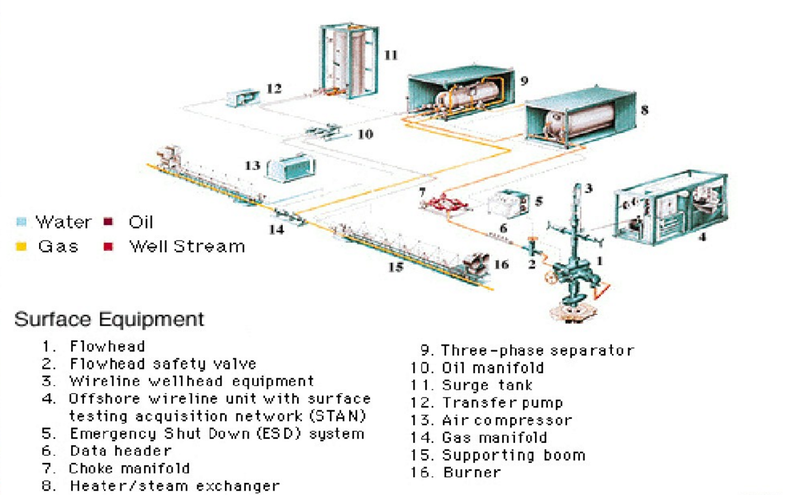 Normally, main activities of a well testing include measuring flow rate, fluid pressure, temperature and their changes, taking samples of oil, gas and water, sample analysis, well test interpretation etc. Secondly, by ways of surface well testing we can determine the fluid type& properties of tested well, oil well/gas well/ water well? Viscosity? Volume factor? Etc. CCSC Technology can determine productivity, deliverability of tested well/pay zone. CCSC Technology can determine reservoir parameters—permeability, damage ratio or skin factor, boundary, etc. .
CCSC Technology can determine connecting condition between oil/gas/water pay zones. 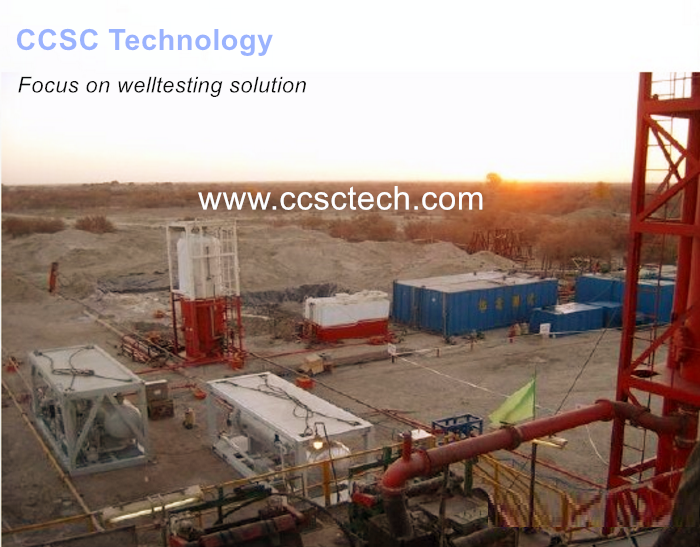 CCSC Technology can come to a conclusion that well testing is a method used to research capability of oil/gas/water pay zones &wells, reservoir parameters and connecting condition between oil/gas/water pay zones by testing production performance of a well by means of some special tools equipment and instruments, which is based on mechanics of porous media flow. CCSC Technology Surface well testing equipment are usually consist of surface test tree flow head, ESD, SSV, sand filter, Upstream data head, CHEMICAL INJECTION PUMP, choke manifold, downstream data head, MSRV, heat exchanger, steam generator, 3 phase well test separator, diverter manifold, gauge tank, burner Head, surge tank, oil transfer pump, gate valve, choke valve, spools, plug valve, union flange etc. .
We CCSC Technology are dedicated to improving efficiency and safety in field operations, all kinds of surface well testing equipments can be designed and manufactured according to user’s requirements.